Order within the next 13 hours 20 min. hours and your package will ship TODAY. The Creeper Wheel got a hollow core which makes them extremely rigid and fast. The thinly applied urethane provides additional speed. Because of their small width of only 35mm, the Creeper Wheel is super agile. If you skate very precise you realize clearly that every movement is passed directly to the wheel. Another feature of narrow wheels is that you can not stuck together when you are in the pack. Cause of its 59mm your center of gravity is lower, so you have more control while skating. 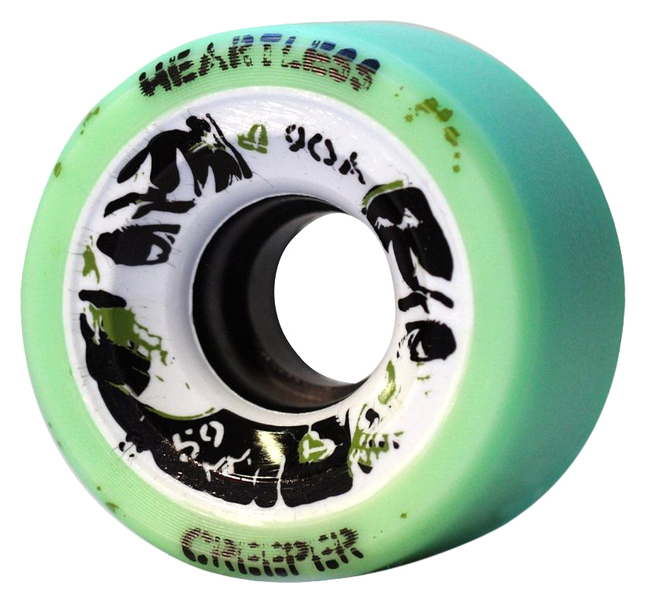 RDH Recommendation: You can use the softer 59mm HEARTLESS Wheels (88A-90A) as a kind of pusher wheel, when combined with harder 59mm HEARTLESS Wheels (92A-94A) as speed wheels!